If you are cooking Mexican, you will be using many types of chiles both fresh and dried. 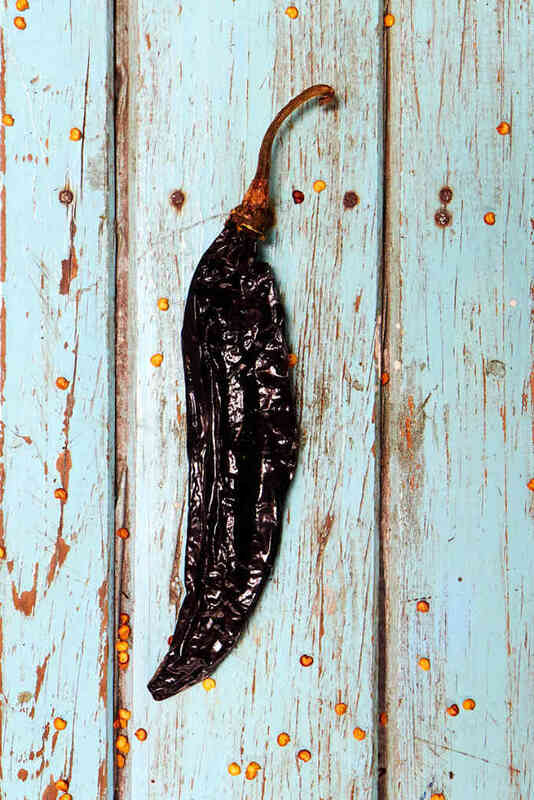 The pasilla chile, a chilaca chile that has been dried, is a staple in Mexican cooking. It serves as the base of an wide variety of sauces, salsas, and stews. The name pasilla refers to the similarity, in both texture and smell, to pasas, or raisins. The pasilla is a mild chile that has a fruity smell, a bit like raisins. It has a meaty texture that thickens salsas, sauces, and stews very well. They are about 6″ to 7″ inches long and 1″ to 1 1/2″ wide. The pasilla is often paired with the ancho Chile for sauces. 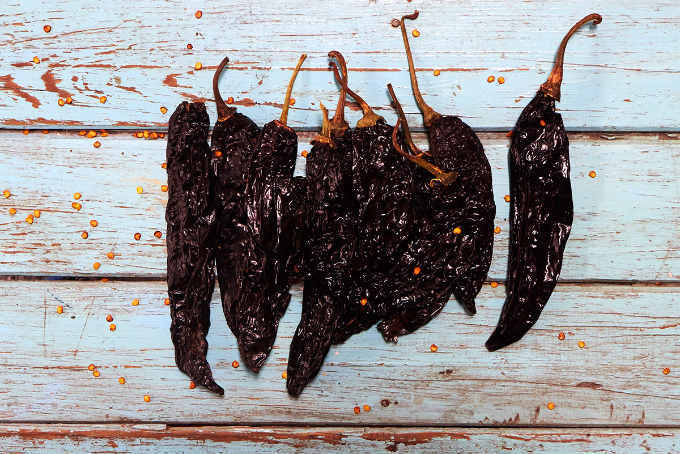 If you are new to cooking with dried chiles, it’s a very good one to start with. The seeds are edible and for some dishes they are saved and toasted to add flavor. Always look for chiles that are soft and pliable. Avoid any that look dry and dusty and are hard and brittle. They are past their prime. They will lack flavor and can be bitter. They also don’t reconstitute well so they won’t provide enough body to a sauce. Pasilla chiles should be available in any supermarket that carries dried chiles because it is one of the most commonly used chiles in Mexican cuisine. Markets that cater to Mexican shoppers will have the freshest chiles because there will be a high turnover. If you are unable to find them at your local store, you can order them online through MexGrocer or Amazon. Thanks for all of your articles on dried chiles.